Here’s a fun gadget to brighten up your desk and keep you cool, the Mr. @ USB Fan. Powered by USB or 3 x AA batteries. Quiet motor will not disturb you when working. Soft & safe plastic blades wont cause injury. Flexible neck to adjust anyway you like. 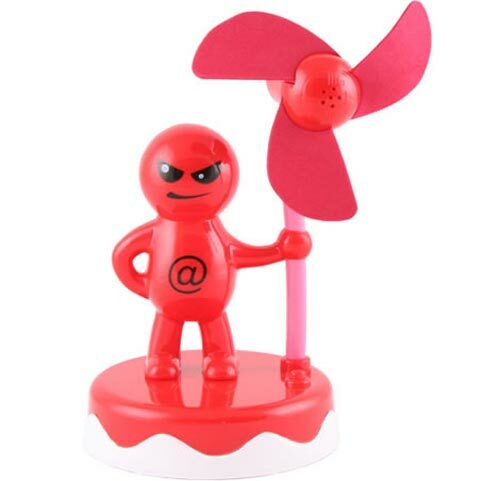 The USB [email protected] Fan is available to buy online for $12 from USB Geek.